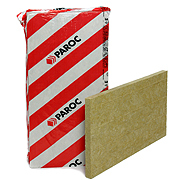 PAROC Fire Steel Protect is non-combustible stone wool slab for use as fire protection for steel structures. It has a reinforced aluminium foil facing. PAROC Fire Steel Protect system is ETA certified and the dimensioning is simple to manage. Thanks to the low thicknesses needed, it is easy to handle and install.